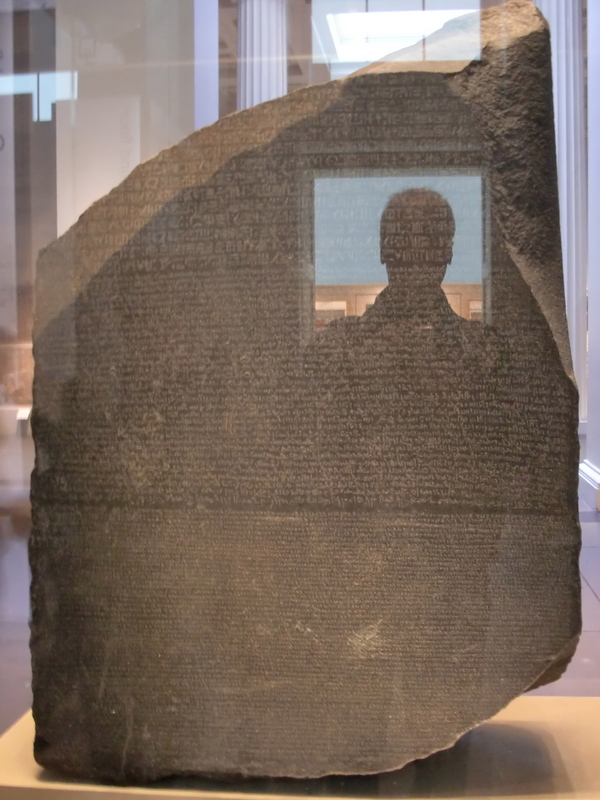 As I looked at the Rosetta stone in the British Museum today I began to think of our collective work at unlocking the code for employee engagement. There has certainly been lots of contributions and my own 10 block Pyramid of Employee Engagement is an attempt but I think we have a long way to go. I love this picture that I took of the Rosetta stone in the British Museum today. The stone had a shadow portrait reflection of myself taking a picture of the stone and it will be an inspiration for more clarity and deeper work on employee engagement in 2013. David Zinger is a global employee engagement expert who uses the pyramid of employee engagement as a practical and tactical 10 step approach to fostering more engagement. He has been in London all week to further his knowledge and connection with engagement and to present his own work in progress on engagement.